Yesterday I cleaned the bathroom. I've never felt more accomplished in my life. I mean it, this had feels on the level of the day I graduated from college. I deserve a medal. A cash award? Then, since the baby was still sleeping I even took the trash outside and hosed down the very dirty trash can. I felt like a super hero. However, yesterday I had a baby that decided he didn't want to sleep at night. Yay, me. This better not be a phase. Maybe just a one time thing. I pray. 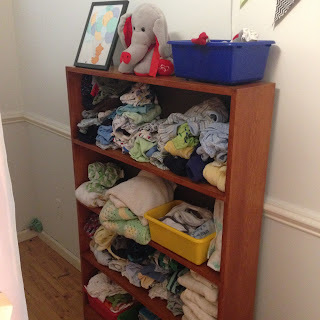 We don't have a nursery per say. Yet. My husband is working on it, and since he wants to clear the spare room himself, I am waiting on him. 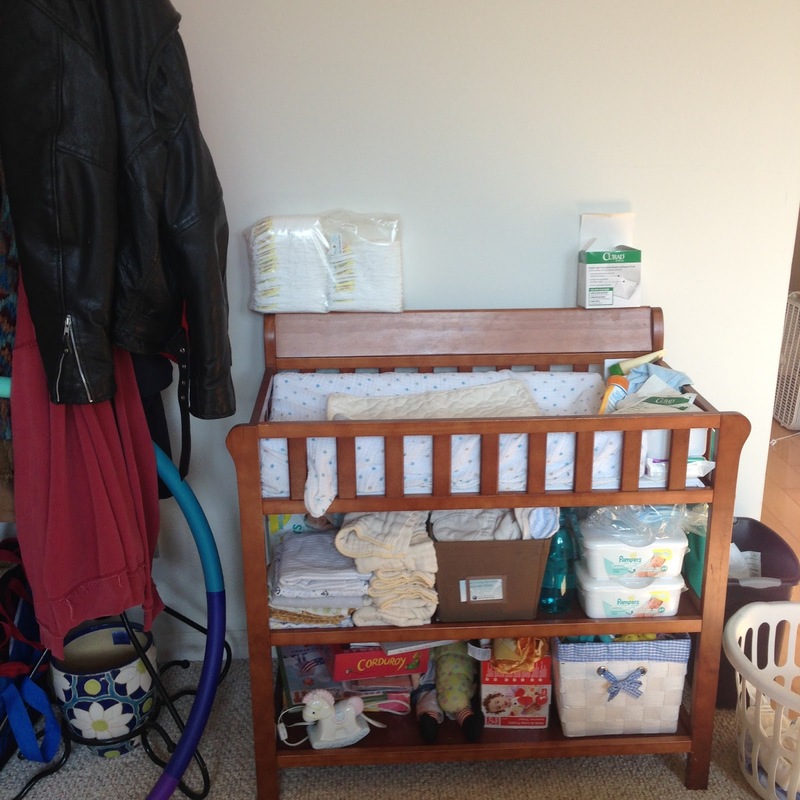 So, we have babies clothes in the bedroom, as well as the cosleeper--and the changing table is in the living room. 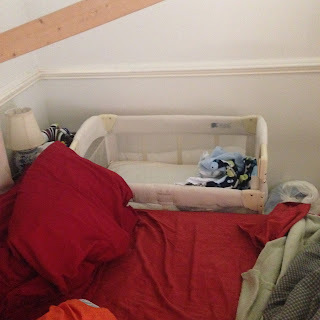 When little baby wakes up I go in the living room to change him and nurse him and then go back to bed (well, sometimes I fall asleep on the couch) so I don't wake up my husband. He has to wake up early to go to work and can't sleep all day like I can. Today is my first day alone with baby. My mom went back to work yesterday and my husband went back last week (but he took thursday and friday off, so he only worked three days last week). Today I also have to manage cooking dinner as well! I am planning something easy with ground beef. Wish me luck, and hopefully little man will have a nap time around my cooking hour. This week he has stopped screaming when I change his diaper and when I put clothes on him. It's a miracle! And now I need to go change his diaper. See you all later!